Reading to children has proven to be of great importance as it helps not only in their cognitive development process but also in their language acquisition and literacy skills. For kids learning foreign languages, books about the culture with the target language can help further language acquisition and inspire children to learn more, since children will learn knowledge related to the language whilst also getting familiar with the cultural background. If you read books about Chinese culture to your kids, they will get to know more about the local people and their tradition, which in turn will also help them to understand Mandarin Chinese better. Here are some fun books for you to choose from! In the book, a child describes the various dim sums she and her family enjoyed during a visit to a restaurant in Chinatown. According to the Chinese tradition, they share their food with each other so that everyone gets a bit of everything. 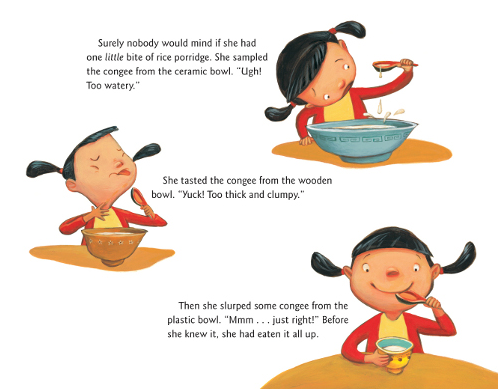 The book is right for young children as it celebrates a cultural custom and a universal favorite activity, eating! It’s easy to get obsessed with the idea of going to a restaurant and picking out your own “little” dishes of food. In addition, the illustrations in the book are bright, bold, and beautiful! Perfect for children. Dim Sum for Everyone was written by Grace Lin and was published on January 15, 2003. This is a favorite story set in a bustling contemporary Chinatown. It’s Chinese New Year day, Goldy Luck’s mother asks her to take a plate of turnip cakes to the neighbors. The Chans aren’t home, but that doesn’t stop Goldy from trying out their rice porridge, their chairs, and their beds—with disastrous results. In this funny and festive retelling of Goldilocks and the Three Bears, the authors introduce a plucky girl who takes responsibility for her actions and makes a new friend (and a whole plate of turnip cakes! ), just in time for Chinese New Year. It also shows the days of Chinese New Year and how to make turnip cake! Goldy Luck and the three pandas was written by Natasha Yim, illustrated by Grace Zong, and was published on January 7, 2014. This book also introduces the readers the customs of Chinese New Year celebration including the special festival food, the gift of money tucked into red envelopes from Grandma and Grandpa for good luck, shopping for flowers, fireworks, and parades with dramatic dragon puppets. The bouncy, rhyming text and large flaps on sturdy pages make the book perfect and interesting for young children. 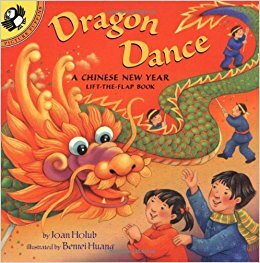 Dragon Dance: A Chinese New Year lift-the-flap book was written by Joan Holus and illustrated by Benrei Huang. 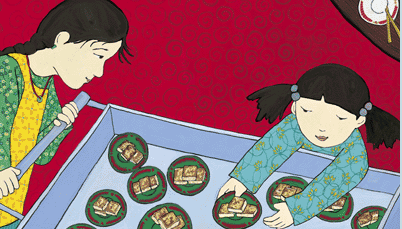 In this book, Ruby’s grandmother is unable to come for the Chinese New Year but Ruby is determined to deliver her a special gift (drawing) to her regardless the obstacles between them. Animals like the strong Ox, the clever Rat etc. from the Chinese zodiac help the little girl to achieve her dream. This picture book celebrates the Chinese New Year and focuses on the Chinese zodiac animals. 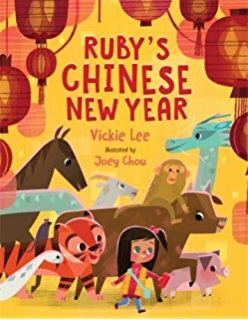 Ruby’s Chinese New Year was written by Vickie Lee and illustrated by Joey Chou. This awesome book is a multicultural children’s book that teaches classic fairy tales in both English and Mandarin Chinese. 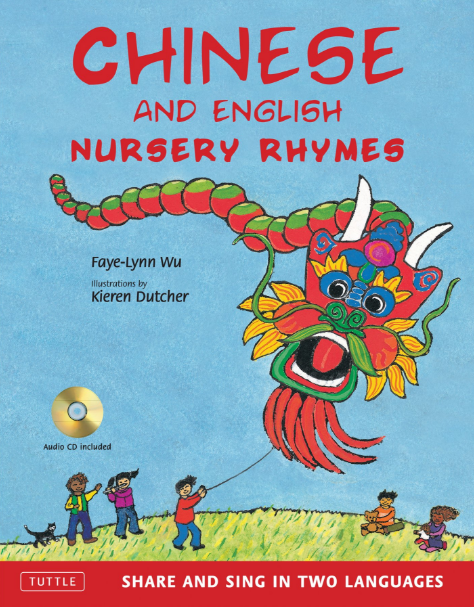 An innovative collection of favorite rhymes are put in pairs in both Chinese and English: One from Chinese and the next in English to show that kids all over the world love the same thing. “What is 5 – 2?” This is a boring question. It has a boring answer. There is no tie-in to reality or even fantasy. Though the root of the question is the same, this way of asking sparks the imagination. You wonder about Nick and Paul. What do they look like? Do they learn Mandarin online just like our readers? Do they take online? 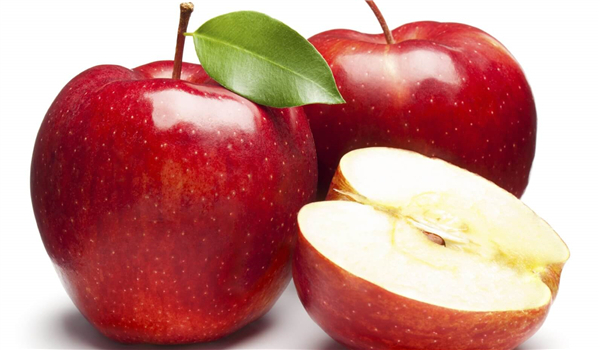 And the apples: are they green or red? Big or small? These details don’t distract, they enrich the learning experience. Stories create context, a vitally important part of any well-designed lesson. 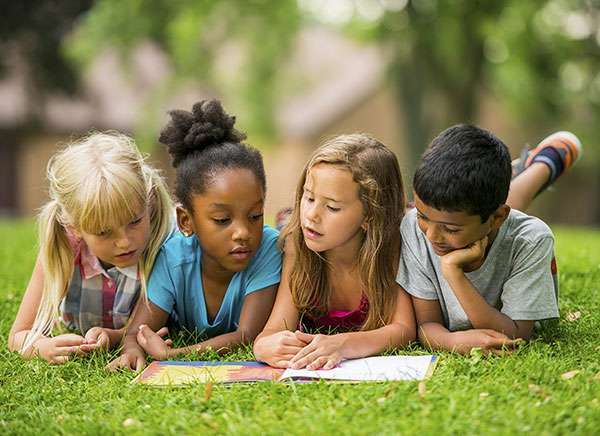 Below is how you can help with your children’s learning through reading stories. Who are we kidding? Nobody really cares that much about apples. But what if we replaced apples with something more relevant to the student’s interests? 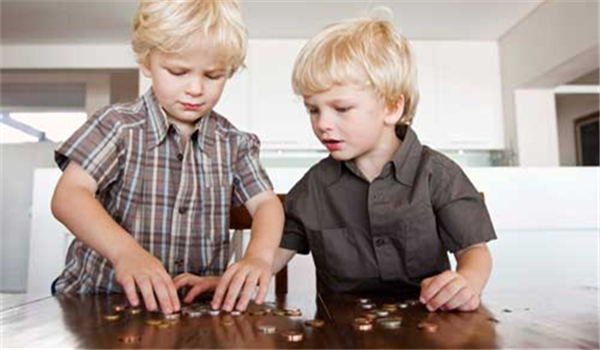 Whether that’s dolls or dollar bills, some minor modifications like these can make a world of difference. Stories can even be turned around for kids who are already at a higher level. Let them tell you the story and fill in the details and convey emotion as best they can. Empower them by letting them quiz you on it afterward or compare your perspectives by drawing a picture based on the story they’re telling you. Stories don’t have to give any direct answers; they can also be used to encourage higher-level thought. I’m not talking about reading The Great Gatsby and writing an essay on the corruption of the American dream or anything of that sort. They’ll get to experience that joy in due time. These types of questions, even if they seem very straightforward, require thinking back on the story to give an answer. At worst, it will test your listener’s memory. 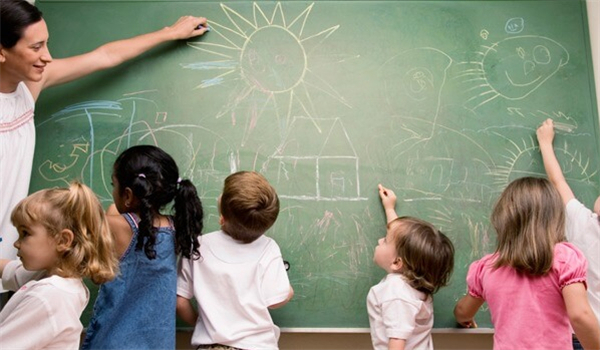 One thing you can try is creating a larger context within your learning environment. Maybe one day you are taking a trip to the moon, so your stories are space-themed and focused on a couple of aliens? And another day, perhaps you’re going under the sea? 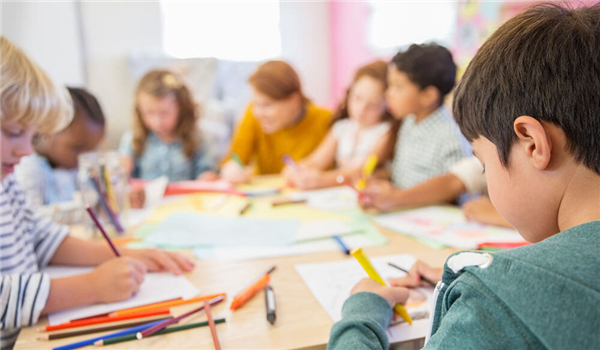 These overarching themes, while not extremely popular in traditional classroom environments, are widespread elsewhere, adopted to great effect by popular children’s TV shows, private language training centers, learning-oriented video games, etc. These are just a few examples of ways you can use stories in teaching. If you have any more, please feel free to share them with us in the comment section.